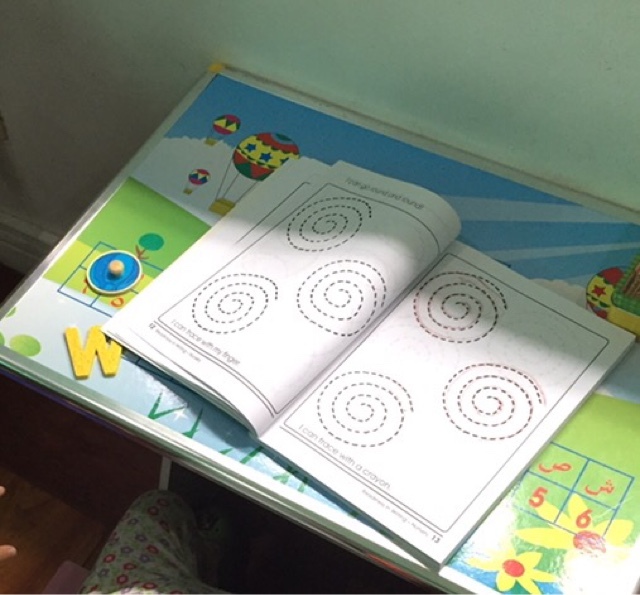 Simple Pre-writing Activity for Toddlers ~ Mommy Meowmeow! Our homeschool is pretty simple... sometimes we're done in 15 minutes 😊 Hey, I only have 1 student! While we mainly use Letter of the Week/LOTW printables (which I printed and laminated to be used with our dry-erase markers) and some photocopied sheets (where legally permissible from books we purchased), I also felt it's important for her to be able to use actual books and practice pre-writing by tracing with other mediums like crayons and pencil. Glad I found something relatively inexpensive (pero parang mahal pa rin since it's just in black & white hahaha) in National Bookstore. 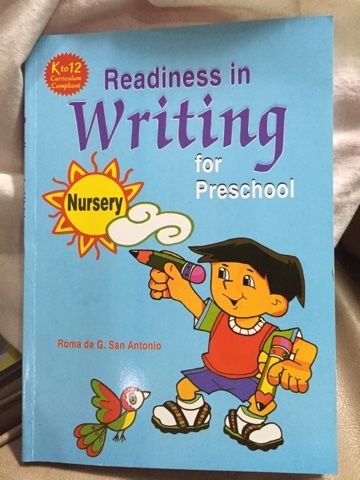 So here we are using it some parts of the week: Readiness in Writing for Preschool -- Nursery level🖌 It's PHP 220.00 and already K to 12 Curriculum Compliant. Simple activities like this make me appreciate homeschooling. Sometimes we think that something is so easy the kids can easily do it on their own but more often, we are reminded that (1) they are too young for an activity, so we don't push it until they are developmentally ready; (2) they still need a helping hand and someone to encourage them when needed. When we started with tracing I used to get frustrated that she didn't want to do it on her own or sometimes would even instruct me to be the one to do it instead! I thought cuter printables or more crayons & markers would do it but, no..she'd just flit to another part of the room and play with another toy. This baffled me because she enjoys doodling and making stories out of it. However, when we introduced a little structure (i.e., tracing along the broken lines) she just didn't want to do it. So this is what flexibility (and adaptability) in homeschooling means. I pray that the Holy Spirit will guide us both in this journey that we may be productive, successful, happy and always have the love for learning.